Unleash the fun . . .
Chiweenie Magic . 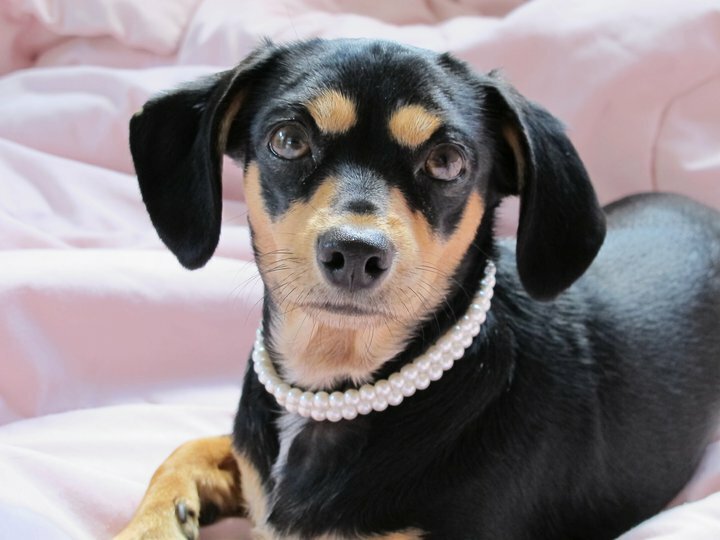 . .
A Chiweenie is a very special little breed of dog. One part Chihuahua . . . one part Dachshund . . . and one part Magic. can make impossible things happen. The "Chi" is from "Chihuahua". 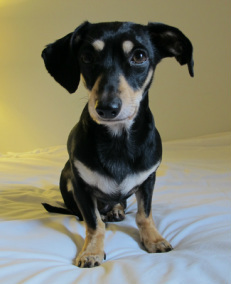 The "weenie" is from "Weiner Dog" which is another name for "Dachshund". 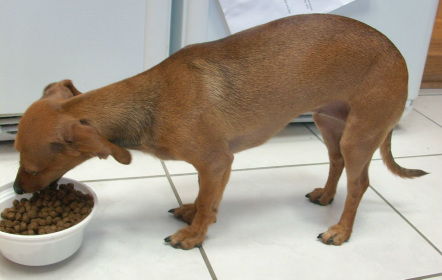 Pure-bred Chihuahuas weigh less than 6 pounds and stand 6 to 9 inches at the shoulder. 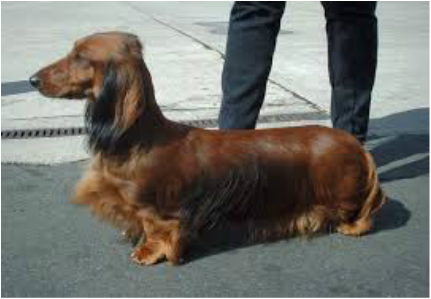 The pure-bred Dachshund (standard size) weighs anywhere from 11 to 32 pounds and stands 8 to 9 inches at the shoulder. No Two Chiweenies Are Alike! Here are two Chiweenies from our pack, Moose and Pumpkin. and some Chiweenies have more Chihuahua in them. Pumpkin looks like a long-bodied, oversized Chihuahua. Moose looks like a long-legged, undersized Dachshund. Some Chihuahuas and some Dachshunds have long hair. 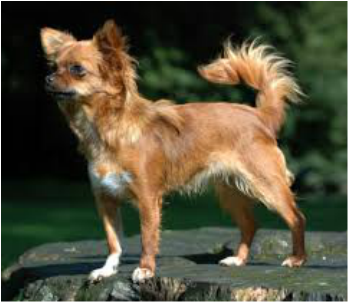 Therefore some Chiweenies are long-haired and you can never be sure which breed donated the long-hair gene to the mix. It might have been both! 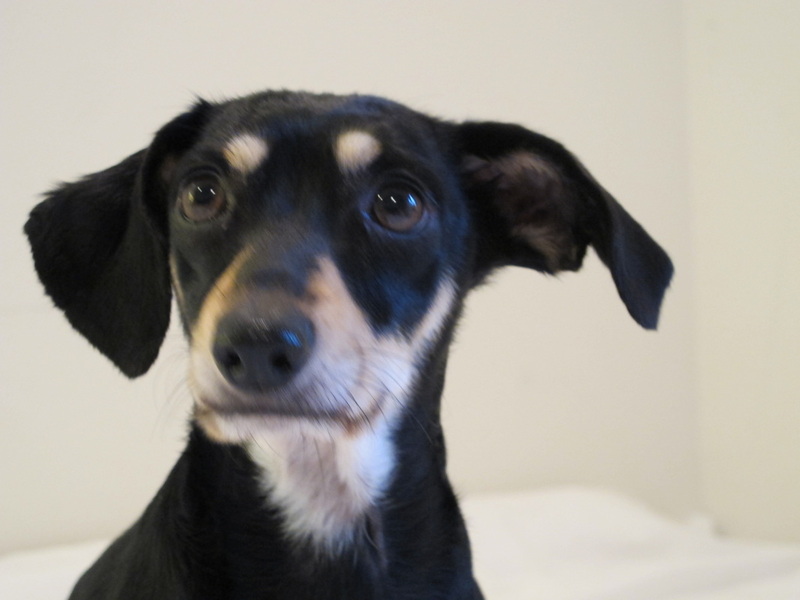 Lila, another member of our pack, is a long-haired Chiweenie. She had the same parents as Moose and Pumpkin but is from a different litter. She was the only long-haired Chiweenie in the litter. 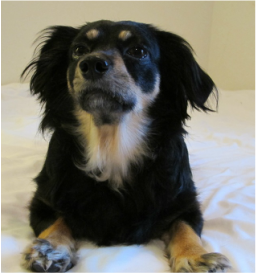 Some Chiweenies have stand-up Chihuahua ears and some have floppy Dachshund ears. Does anybody in this pack have stand-up ears? Not me! When I try to make my ears stand up, I look like the flying nun! I can get my left ear up half-way! Tell me . . . WHY is this important? If stand-up ears were cuter than floppy ears, I'd starch my ears! 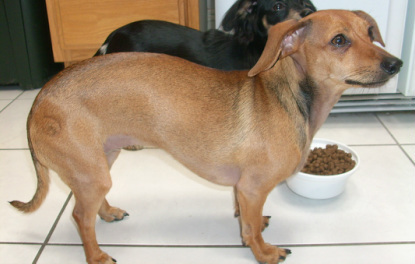 Okay, so the floppy-ear gene won the ear battle when this particular batch of Chiweenies was being genetically designed. Let's see what colors the Chiweenie Magic Pack contains . . . I'm not any of those colors! Look at me! I'm brown with black hairs on the sides of my neck, down my back and on top of my tail. And then I have huge places where I have NO hair at all and my nekkid skin is kinda "pinky-grey"! Let's see you stick ME in a category! Okay . . . Pumpkin is "brown"! Hmmm. I'm mostly black but I have tan footsies and a tan muzzle and tan eye brows so that makes me black-&-tan BUT I also have this patch across my chest that's sort of a pale tan but maybe you could say it was a sort of tannish white. I'm not sure what color I am. Can you give me a little help here . . . please . . . before my brain melts! Okay . . . Moose is "tri-color"! Good grief! What has this got to do with digging up gophers? And come to think of it . . . this is beginning to sound a lot like some sort of discrimination. You'd better walk lightly over this subject! Pepper has FUR that is "tri-colored" . . . black and tan with a white stripe down her chest. She is all DOG underneath! Oh, please please please say I'm a tricycle! I want to be a tricycle like Moosee and Peep! Um, Lila . . . I'm sorry but you're "black & tan". No! NO! NO!! I want to be a tricycle!!! I'm going to hold my breath until you let me be a tricycle!!!! Moose, Pumpkin and Pepper are from one litter, and Lila is from another litter. Their mom was "blonde" and their dad was "black & tan". 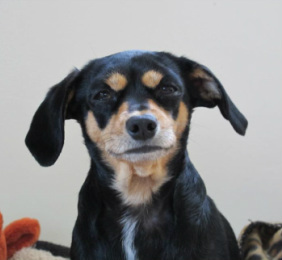 We here in the Chiweenie Magic Pack feel that the Chiweenie is the PERFECT little dog. We're not as small as a Chihuahua, so we're not as fragile. We're not as big as a Dachshund, so we're not too heavy to carry around as arm candy and we don’t take up too much room on the bed or in a lap at nap time! We are ALL absolutely brilliant! We learn rapidly and in some cases we seem to know what our humans are thinking and anticipate their desires and intentions. 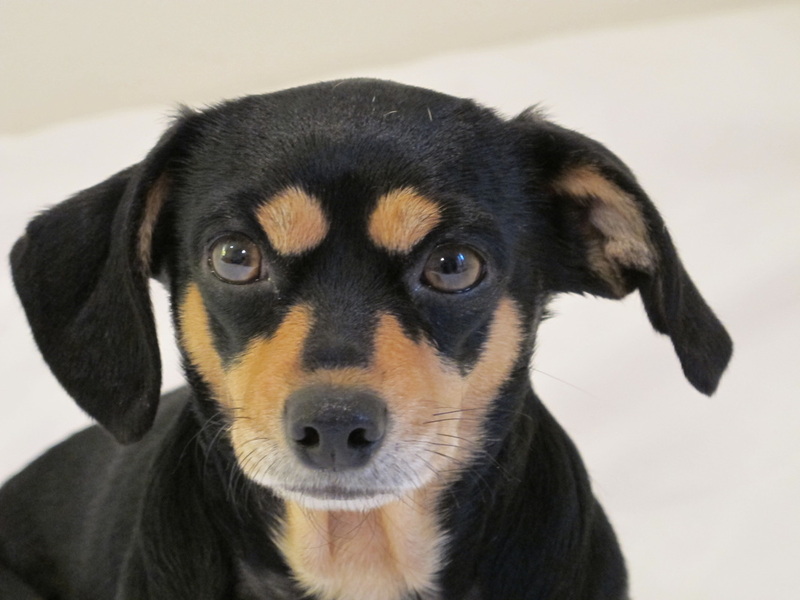 All the Chiweenies in our pack are related and have been rescued. If you ask our humans, they will say that WE rescued THEM! We have definitely changed their lives. This website is all about us . . . our past, our personalities, our fun and silly daily activities. We hope that we can bring some happiness and laughter into your life. 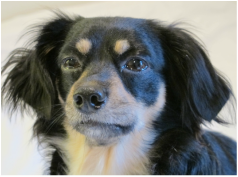 ©2013-15 Chiweenie Magic. All rights reserved.